J.J. Redick is an important piece in Stan Van Gundy's system. With a big man like Dwight Howard, it's always smart to surround him with shooters. 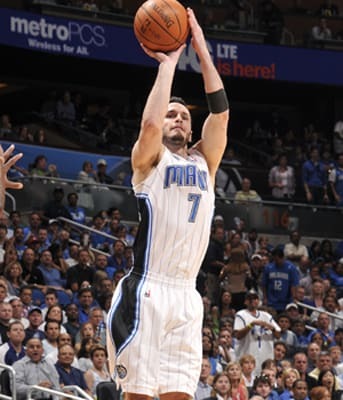 Redick isn't the player he was at Duke, but he can still shoot it. The Magic like him so much that they matched a 3-year/$19 million offer sheet given by the Bulls. J.J answered by shooting a career high 42% from behind the arch and dropping 11 PPG on fools.